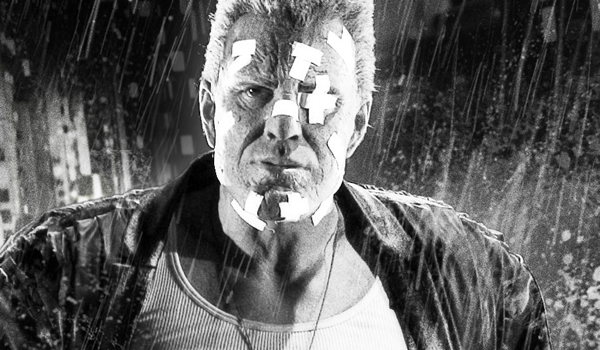 There may be better movies based on graphic novels out there, but in terms of visually bringing the source material to life in a live action film, Sin City may be the king of the hill. Every shot looks as though it could have been taken straight from a comic book, shown in black and white with the occasional splashes of color. Add a thick noir atmosphere and one hell of a star-studded cast (including what many call Mickey Rourke‘s true comeback role) and you have one hell of an entertaining ride. Style over substance, perhaps, but with style like this, that’s perfectly acceptable. 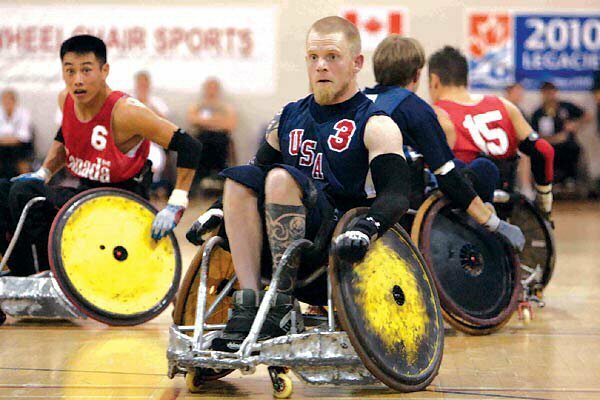 “Inspirational” is on the verge of becoming an empty word due to overuse, but for Murderball, it rings true. Hearing the stories these wheelchair rugby players have to deal are indeed inspiring, but that’s not all this documentary has going for it. It also features some brilliantly shot sequences from the matches that really bring forth the physicality of the sport. There’s also a compelling narrative about Joe Soares, who after many years as a star player for the US team failed to make the try-outs and defected to Canada to become their coach. And then Canada beats the unbeatable Americans, who now want revenge. Hollywood couldn’t have done it better. A film like this could easily have fallen sway to clichés and stereotyping. Thankfully, it doesn’t. 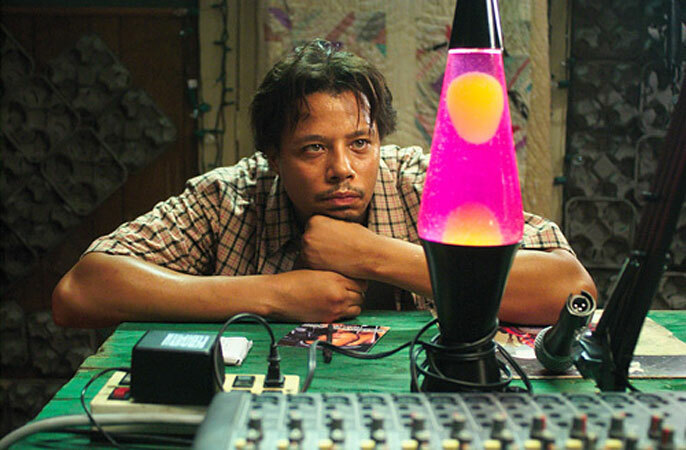 The story of Memphis pimp and drugdealer Djay (Terrence Howard in probably his best role to date) who has aspirations of hip-hop stardom works because it transcends what we expect of the material. The characters are meticulously crafted and expertly brought to life, and while we may not agree with Djay’s methods all the time, his dreams and transformation feel believable and admirable. He’s too smart and gifted for the life he leads, so he sets out to change it. Music becomes his outlet. Towards the end of Grizzly Man, Werner Herzog notes: “I believe the common character of the universe is not harmony, but hostility, chaos and murder”. This viewpoint is evident in a number of his other films, so it’s no surprise that he would be drawn to the subject matter here. 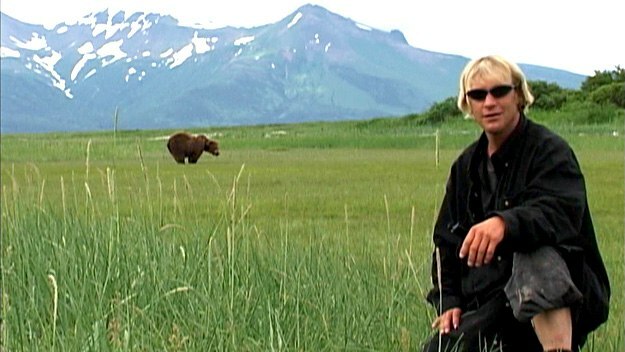 This is a documentary on Timothy Treadwell, a man who spent 13 summers living among the grizzly bears of Alaska until he and his girlfriend were attacked and eaten by them. A lot of it is composed of Treadwell’s own footage from his trips, both providing an amazing look at the bears and painting a vivid picture of a unique human being. The other parts, with Herzog interviewing people who knew Treadwell, tells us as much about the subject as it does about the director and human nature as a whole. The first time I saw this film I was a bit underwhelmed. I liked it, but felt it somewhat brief and slight. A rewatch changed my mind, transforming “brief” and “slight” into “concentrated”. This is tight storytelling with not a second wasted, featuring scenes with immense power and some teriffic performances, none stronger than Viggo Mortensen‘s. Brutal and violent for sure, but hugely fascinating. I’ve mentioned this one a couple of times before on this blog. An immensely thought-provoking documentary on Doug Bruce who has lost all his memories, full of what-ifs and neat anecdotes. I’ve seen no documentary that I’ve liked better than this one. Along with 2004’s Anchorman: The Legend of Ron Burgundy, which he produced, this is the film that brought Judd Apatow big mainstream success. And what a great film it is. First of all it’s gut-bustingly hilarious, with a smooth mix of crudeness and humanity. But what really makes it stand out is the tactful and sympathetic attitude it has towards its main character Andy (Steve Carell), showing him as not an awkward loser but in a positive light. As his outspoken co-workers (Seth Rogen, Romany Malco and Paul Rudd) do their best to help him lose his virginity, it becomes apparent that they’re the ones with the real issues. Carell deserves a big chunk of credit too for finding just the right level to play Andy at. As far as laugh-out-loud comedies go, this one ranks among the best of the decade. But if one is looking for comedy of the blacker variety, this movie is tough to beat. A brutal portrayal of the bitter psychological war that a divorce can mutate into, with the intellectual snob dad (Jeff Daniels in a superb performance) and his follower of a teenage son (Jesse Eisenberg) on one side and quick-to-move-on mom (Laura Linney) and troubled 12 year-old Frank (Owen Kline) on the other. Not always an easy watch, but it’s probably Noah Baumbach‘s funniest and most thoughtful film to date. What are you favorite films of 2005? What do you think of the movies on this list? The only movie on your list I’ve seen is The Squid and the whale, which I absolutely loved. Fantastic. Other movies you’d definitely find on my list are Matchpoint and Brokeback Mountain. The Constant Gardener, Batman Begins, Pride and Prejudice, Broken Flowers and Walk the line were also good. Brokeback Mountain was a really good film. Very rich with wonderful cinematography and some spot-on performances. Had this been a top 20 list, it would most likely have made the cut. Same goes for Batman Begins, even if the action scenes were a bit too “jumpy” for my liking at times. Broken Flowers was a very interesting film that I really ought to revisit some day. I liked it just fine. Walk the Line was also good, but apart from great turns by Phoenix and Witherspoon, it felt a bit like “just another biopic” to me. The others you mention I haven’t seen yet, but they’re on my radar. I’m particularly interested in Matchpoint as many seem to consider it one of Allen’s better films of recent years. Always fun to see what you have on your lists. I’ve seen most of the movies you list, actually six out of ten (felt like more, haha). I haven’t seen Murderball, Hustle & Flow, Unknown White Male and The 40-Year Old Male. I’m mostly interested in Hustle & Flow as I think I could like that one the most. I’ve never been a fan of Steve Carell though, but after his stellar performance in Crazy, Stupid, Love, I might just give this one a chance. Otherwise I agree with you that March of the Penguins (I’ve only seen the Freeman version) and Grizzly Man deserve to be mentioned from the year as they are two excellent documentaries, where Grizzly Man was one of the years best in my opinion. The Weather Man and Sin City I both gave 3/5. Sin City is visually stunning, but left me without much feelings towards it. The History of Violence and The Squid and the Whale are both 4/5 in my book and on my top ten of the year as well. Antikörper, Le couperet, A Bittersweet Life, The Matador, Batman Begins, Munich, The Descent, Harsh Times, Me and You and Everyone We Know. Yeah, from what I know of your taste in film, I think Hustle & Flow is the one that you’re most likely to enjoy. 40 Year-Old Virgin is a tricky one as I think the humor might not really be your cup of tea, but the story is very enjoyable. I’d probably call this Carell’s best performance, or at least up there with Little Miss Sunshine. I don’t really have a good enough grasp on what you like in your documentaries to say how you’d like UWM and Murderball, though. As for the films you mention, I’ve seen three of them: Batman Begins, The Descent and Me and You and Everyone We Know, all of which I really enjoy. The Descent is definitely among the better horror films of the decade. The Matador and Munich are both on my watch list as well, and A Bittersweet Life might make it on there as well. I liked the director’s A Tale of Two Sisters and should probably check out more of his stuff. As always, thank you for your opinion! Another fantastic list! I haven’t tackled ’05 (I’m posting my years in a weird random order) but I can tell you that A History of Violence is my favorite film of that year, and Hustle and Flow is featured prominently on my list. I applaud your inclusion of The Weather Man (hugely underrated), and I enjoyed 40 Year Old Virgin and Squid and the Whale, though I didn’t love them. Sin City didn’t do much for me. As for the docs, Murderball is terrific, but I didn’t see the rest. Grizzly Man has been gestating in my queue for a long time, but I will have to add Unknown White Male based on your glowing recommendation. Thank you kindly, Dave! Looking forward to reading your list whenever you get around to it. Always fun to see your picks, as I know there’s a good chance I’ll like them too. You already lead me to In the Bedroom, which I loved, and I currently have The Pledge home from Lovefilm sitting on my desk too. I hope you’ll enjoy Unknown White Male. I hardly ever see anyone talk about it, so either I just have a different opinion on it than most or it’s just one of those overlooked gems. I’m glad I’ve made someone want to check it out, though. Do share your thoughts on The Pledge! I’m most curious what you thought of that one. Could it be one of Nicholson’s last great performances? I’ll make sure to do so once I get around to seeing it. I haven’t had time to watch many movies lately, but I’m sure I’ll get around to it sooner rather than later. Thank you! I’m digging your list too. Both Kiss Kiss Bang Bang and The Descent were close to making it onto mine. I also quite enjoyed Good Night And Good Luck. Munich, Wallace & Gromit and Dave Chappelle’s Block Party yet, but I intend to. As for the Proposition, I haven’t seen it either, but probably won’t. I like all the people involved, but I often have a hard time liking westerns. Time will tell if I end up seeing it. I love how many underrated or underappreciated movies there are on your lists. They’re so different from other lists, which is what I love about them. I also usually agree with all of your choices that I’ve seen. This list is no exception. I’ve seen half of these films, and liked all of the ones I saw. GRIZZLY MAN would have to be my favourite. Man, that film was chilling. I love Herzog and all his documentaries. Can’t wait to see his latest one INTO THE ABYSS. I’m glad you enjoy these lists. It’s funny though what you say about underappreciated films. We all move in different circles when it comes to film discussions, so everyone has different ideas of what “people” have seen and liked. So sometimes for these lists I pick a film that I figure everyone likes, only to get multiple comments about how it’s so underrated. It’s fun, and helps me maintain a sensible perspective. Yeah, I’ve definitely enjoyed all Herzog documentaries I’ve seen so far (not that they’re many), especially Grizzly Man and Encounters at the End of the World. I fully intend to check out all of them sooner or later. What I like about them is how Herzog is never afraid to voice his opinions, but hides his own thoughts carefully when talking with interview subjects. I’ve also noticed how he likes to keep the camera running on people even after they’re done talking. It’s a neat little thing where you can sometimes catch an unguarded reaction breaking through. It occurs to me that this list doesn’t appear particularly accurate to me. Several of my 11-20 range should really be in my top 10, for instance…and that’s without even acknowledging that the rankings themselves don’t seem right to me. Still, I stand by The Matador at #1. Pierce Brosnan was never better. It’s a fun movie with some nice twists and its supporting cast includes Philip Baker Hall and Dylan Baker–both favorites of mine. The dialog is sharp, the situations interesting…I absolutely love this movie and I’m thrilled I got to catch it during its very brief theatrical run. Also, I’ll go ahead and defend Revenge of the Sith. It’s got massive plot holes, I readily concede this. But for style-over-substance fare, it doesn’t get much more stylish. The opening space battle is exhilarating, and while I have all kinds of story problems with the final duels, there’s no denying that watching them is exciting. Should it be #2 on my list? Certainly not. But I did enjoy it enough to see it thrice during its theatrical run (twice with my wife, who initially resisted going to see it at all). Of the rest, I think the only one that isn’t likely familiar to casual movie fans is Tsotsi. I rented it from the library in 2010 for an Academy Awards-themed movie challenge and was captivated by it. The cast was excellent (particularly the lead actor, whose name escapes me at present), and the story gripping. Powerful stuff, from start to finish. At times, I empathized with various characters though several times the same characters alternately repulsed me. Well worth the time to watch if you can get hold of it. You’re not the first one to have mentioned The Matador here. This makes me think it might well be one of those overlooked gems that are so fun to find. I’m bumping it up my rental list. It sounds like a film I’d enjoy (and no movie is worse by having Dylan Baker in its cast). Tsotsi must have managed to slip me by, but it’s been added to the list too, thanks to your glowing words. The Dark seems an interesting choice. Just glancing at its scores on various sites, it doesn’t appear to be very beloved. I don’t think I’ve ever heard of it before. What’s it like? I like that Waiting is on your list. Very silly but funny comedy, a notch above the norm. And I quite enjoyed War of the Worlds too. It had its flaws, but it really managed to make me care about the characters, which is more than can be said for a great many sci-fi actioners. Thank you for sharing your picks, Travis! Always interesting. Now that I think about it, I might write an Actor Spotlight about Bello for Flickchart at some point, once I get my bearings again. Fair enough. I’m adding The Dark to my queue, but it’s not getting top priority, which means I’ll probably get around to it sometime in the 2020’s. Possibly 30’s. Maria Bello is an actress I’ve never really thought of as great before, but looking over her filmography, she has a respectable amount of really good performances on her resume (A History of Violence and The Cooler, for instance, plus she was in the slick-as-hell Payback). I know it’s unfair, but I have a terrible time telling all these blonde actresses apart. I don’t know how many times I’ve confused Charlize Theron with Naomi Watts, for instance. Bello has gotten caught up in this ball of confusion too. She deserves better. Squid and the Whale is a great film. I think that’s Baumbach’s only big critical hit, which is a shame since Kicking and Screaming, Mr. Jealousy, and Margot at the Wedding are excellent in their own ways too. If I had to pick a top ten, it’d probably include Syriana, Thank You For Smoking, Shopgirl, Junebug, Brick, and Capote. It was a pretty darn good year. Yeah, a lot of Baumbach’s film seem to get mixed reception. I’m a fan, though. I really enjoyed both Greenberg and Margot, and Kicking and Screaming was quite interesting too. He has managed to carve out a unique identity for himself that is present in all his films, which is one the reasons I’ll watch anything he comes up with. Thank You For Smoking and Junebug were both really good. Brick had a fun concept but did bore me quite a bit in execution. The others you mentioned are all in my rental queue and look interesting. Somehow I missed it when you posted this! I’ve actually only seen a couple on your list, but they’re both great – The Squid and the Whale and A History of Violence. No, wait, I’ve also seen Sin City, which I quite like, but not enough for top ten, I think. I’ve seen half the movies on your list. Good Night and Good Luck is one of those films I’d call good but not great (though David Strathairn was teriffic). Brick I didn’t care much for, outside of some tasty bits of dialogue. Serenity was really cool, though. I do wonder if my opinion on it would be different had I seen Firefly too. I never find time to watch TV series. The rest are unseen by me, though I think most are on my rental queue. Match Point is the one I’m most interested in. “The March of the Penguins” has to be one of the most beautiful documentaries in recent memory. Luc Jacquet, its director, takes us on trip to Antarctica where we are introduced to the majestic Emperor penguins. Mr. Jacquet and his cinematographers, Laurent Chalet and Jerome Maison, have done the impossible task to capture these penguins in their own habitat under conditions that seem almost humanly impossible to live, let alone take this team to register it for us, the viewers in all its splendor and bleakness. 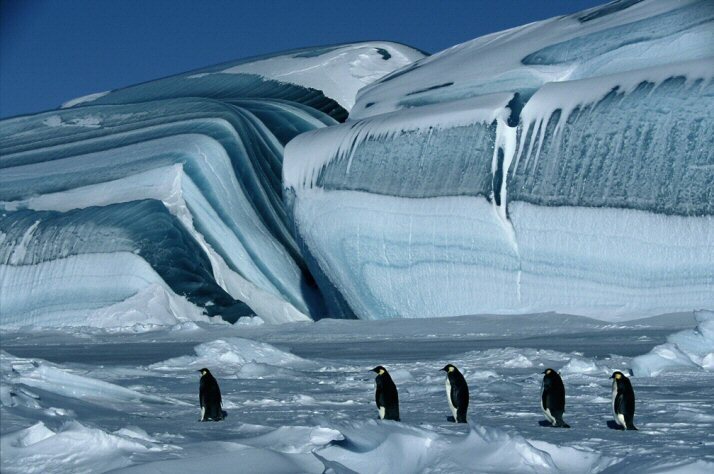 The Emperor penguins have to be the most elegant birds on this planet. They have such a noble way of standing and shuffling in almost perfect lines from the sea to the area where they will mate, hatch their eggs, and then have the females leave for the sea to feed themselves and bring back food for the new chicks. After that is accomplished, it’s the males turn to do their march back to the sea to feed and fortify themselves, returning to the hatching and mating area. What makes these penguins so unique is the sense of family they project at all times. Mr. Jacquet makes it clear for us to understand the behavior of the Emperors in their hostile environment. The English version has the clear narration by Morgan Freeman who expands on the way these birds live and how they are able to survive under extreme conditions. From what I have read about the documentary, the English version, which we are seeing in this country, has a musical score by Alex Wurman, that enhances the movie in unexpected ways. Antarctica, that icy white vastness at the end of the world, has never looked more majestic than in this documentary. Thanks to Luc Jacquet we are enlightened by all what we learn about the Emperors as they endure and survive under the worst possible circumstances and remain the graceful figures they are. Watching “The March of the Penguins” feels, at times, like being at the ballet watching a magical dance performed by these flightless birds that manage to look so dignified all the time while doing for us their amazing dance of survival.